A baseball player has a close personal relationship with his mitt. 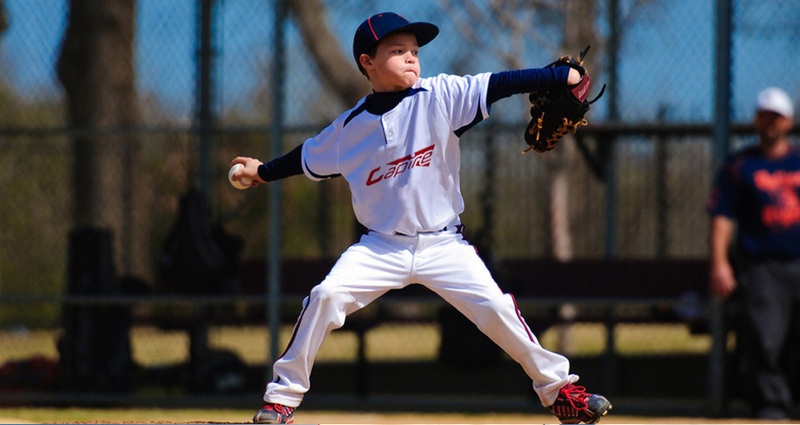 In this article we discuss the best gloves for youth baseball players, adult baseball players and softball players as culled from online reviews of the product. We’ve also included the price range for the mitts, which should be available online or at your local sport goods store. It doesn’t take much of an investment to set your youngster down the path to baseball stardom. 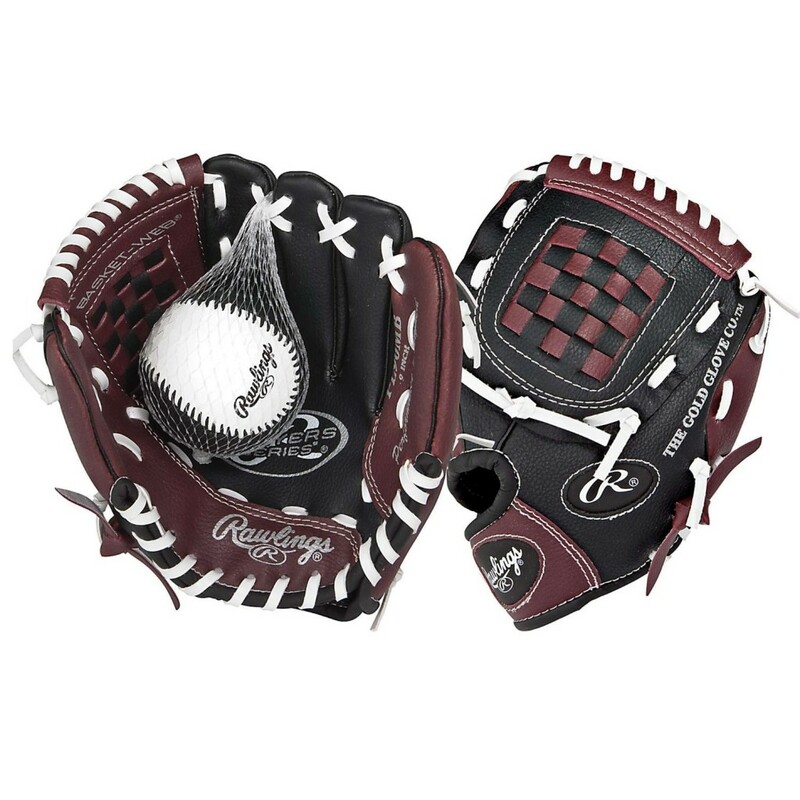 For what practically amounts to pocket change you can get a basket web patterned Rawlings Series 9-inch glove which is made for tee-ball players, but will also work for beginning hardball participants. The glove comes with a soft-core training ball and can be purchased right or left handed. Children as young as three can enjoy the baseball diamond with this product, and it still has enough room to fit the hand of a typical six or seven year old. At ten inches, the Mizuno Prospect Series GPP1002 is the perfect sized mitt for when a young slugger has graduated from tee-ball to hardball. It’s V-flex notch system guides the mitt’s closure and helps players who haven’t yet fully mastered baseball coordination, as does the sidebar tapered design which secures the hand in place. The glove is available right or left handed. Like most leather gloves, it does take some time to break in. But once that’s done with this mitt will have your little fellow fielding like his heroes on TV. 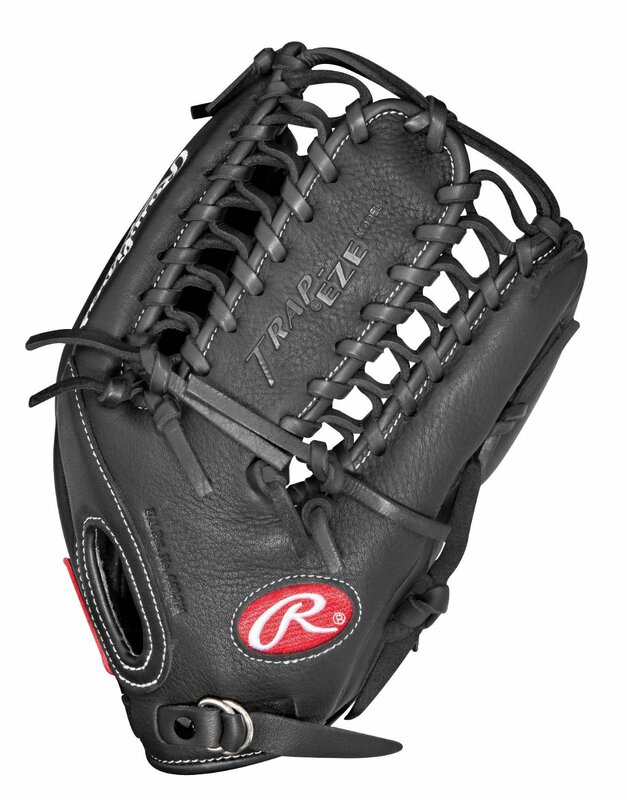 At 12 inches, the Rawlings Playmaker is on the large size for a youth glove, and would work for any budding outfielders or any infielders who still need a bit of extra space to pick ‘em cleanly. You always now it’s quality when it’s Rawlings and at this price you can outfit a whole Little League team, right handers and left handers, with fresh leather. The glove comes already 80 percent broken in, meaning that even the most impatient youngster will be fully ready for action soon enough. The “Prodigy” label Akadema slaps on this youth catcher’s mitt is no joke. This is a glove for a series youth backstop. Designed by Hall of Fame catcher Gary Carter, the Prodigy features stress wedge technology and doubled sided slim padding which each make catching and ball retention easy. And if that wasn’t enough, it has Double Flexhinge, which forces the glove to close on contact. The Prodigy is a handcrafted 32 inch mitt with a Praying Mantis pattern and, the glove comes right and left handed. An economical starter glove that will work for anyone between a little leaguer and an adult who wants to play catch in the backyard with their Little Leaguer. The glove has leather laces and a lockdown velcro strap to insure a tight fit. It comes right handed and left handed and features a contoured index finger pad. Users report the Easton BX1250B will break in fairly quickly and without oils. A tad smaller and more thin than a typical adult glove, this isn’t recommended for an older, competitive player. But it will certainly do the job for casual baseball (and softball) at any age. If you want a solid, near professional quality outfield glove but you don’t want to completely break the bank, the Rawlings Gold Glove 12.75 Outfield Baseball Glove is a good bet. It features a trap-Eze web pattern which both extends the pocket and makes the glove close faster, giving you extra confidence on fly balls. Additionally, the full grain leather lining of the glove will make your hand feel as good as your outfield play. Slightly longer than an average outfield glove, this item will also work for softball. 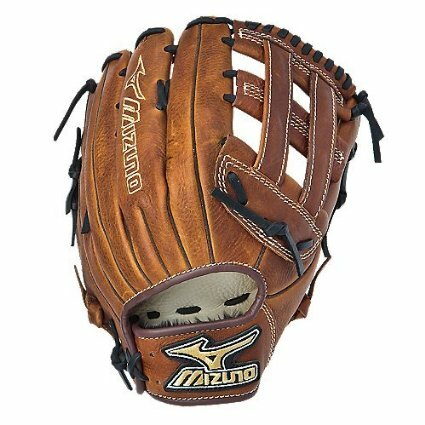 At 11.75 inches and featuring a tartan shock webbing, the Mizuno Franchise is the perfect size and shape for an infielder’s glove. Thanks to hi-low lacing this baseball-specific glove gives the fielder the flexibility to grab a hard ground ball painlessly and then quickly remove it from the webbing and fire it to the appropriate base.The glove, which is available in left handed and right handed, has an adjust a size wrist closer which allows it to be the mitt of choice for infielders in LIttle League on up. You don’t have to be a Major Leaguer to enjoy the highest quality of baseball gloves. But you are going to have pay a pretty penny. Yes, the Rawlings Pro Preferred 11.5 infield glove is expensive. But it’s also the exact model All-Star second baseman Chase Utley wears. It features the highest quality leather, which not only gives the glove a tight structure and ultra-comfortable feel but actually wicks the sweat away from your hand. It’s going to be a bit harder to break in than the typical glove, but the end result should be well worth it. This 13-incher is the classic first baseman’s mitt. Made from professional grade oil-treated steerhide leather, the bruise guard padding will make sure your hand will survive even the most cannon-armed of shortstops. While its pocket might not be quite big enough for softball, it gives the baseball player the ideal mix of protection and maneuverability. It comes right handed or left handed. While it might take a little oiling out of the package, the Louisville Slugger Omaha Pro First Base Mitt should provide years of use. Because of its mix of premium ECCO leather with a material called superskin the Superskin series cheaper from Wilson is not only cheaper than other premium gloves but lighter. It also feature dual welting and pro stock patterns which are designed by the pros. There is some discrepancies on how long the glove takes to break in. Some say it’s just about ready upon delivery, while others say it needs a bit of time with the glove oil. Of course another good way to break in a catcher’s mitt is just to find your favorite pitcher and tell him to throw heat. Yadier Molina is arguably the finest catcher playing Major League Baseball today. And his signature Rawling’s catcher’s mitt, which is made to the specifications of Molina’s game day glove, is arguably the finest catcher’s mitt on the market. It isn’t cheap, but Major League quality shouldn’t be. The 34-inch glove features a one piece closed web, the latest in strength and durability. It’s unique mix of mesh and premium heart of the hide leather makes the Molina 15 percent lighter than other gloves its size without sacrificing any durability. Slow pitch softball can be the most casual of games. You don’t need a great deal of skill to play in some rec leagues, which are as much about that cooler of beer as they are about winning and losing. The Wilson A360 14 inch is for the slow pitch player that wants to have a good time. Still, its split hinge webbing and over sized pocket will make sure you will catch what you supposed to catch. Because of its large size it will work for somebody with big hands or even as a first baseman’s mitt. If you graduate to more competitive softball you might want a more expensive glove, but why not just take it easy and enjoy yourself? This is good glove for a competitive softball player, fastpitch or slowpitch . It features the comfort of throwback soft pebbled leather and at 13 inches it will work for the infield or the outfield. The see through webbing design makes it easier for outfielders to field fly balls and infielders pop ups on a sunny day. The Mizuno MVP softball mitt comes in right handed and left handed. Although it will require some breaking in, you don’t need glove oil to get it into game shape. First base can be a bit challenging in softball with that big old ball baring down on you. As such, a competitive softball first baseman probably wants a speciality first base mitt. The Miken Super Soft First Baseman’s Softball MIttl is a very popular option on this front. Miken’s Poron XRD padding system will reduce impact on your hand and the full grain shell allows you to form your own pocket. The glove comes right handed and left handed and pre-oiled. When you play fastpitch softball, you’re going to need a specialty catcher’s mitt for the guy or gal behind the plate. The Mizuno GXS57 MVP is a high quality piece of equipment for the competitive player. The 34 inch mitt features an ultra soft lining and throwback leather. While made for behind the plate, the GXS57 can also be utilized in the field. It’s actually something to think about as an all-around softball glove, particularly if you are playing on a high school on junior high girls team.